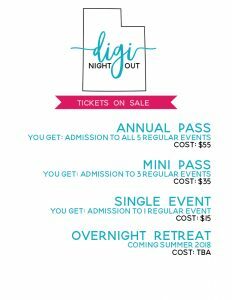 I am so excited to announce that DigiNightOut will live on! 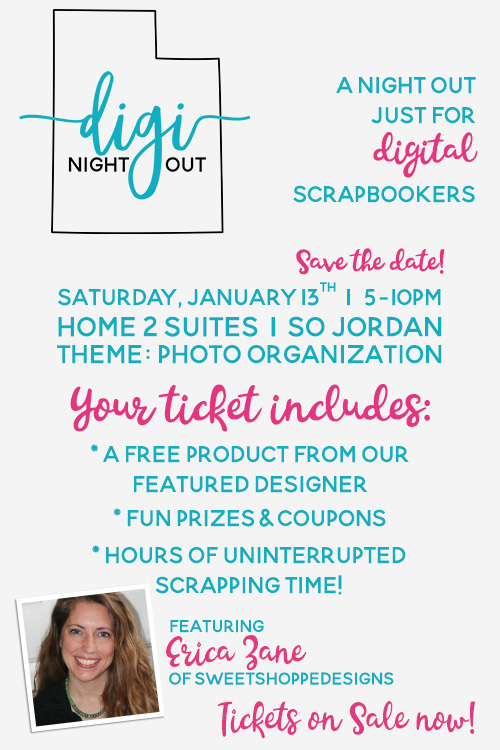 I love digital scrapbooking, and I am thankful that I live in Utah where there are so many of us who can get together on a regular basis! I have five regular events scheduled with information about an overnight summer retreat coming soon. 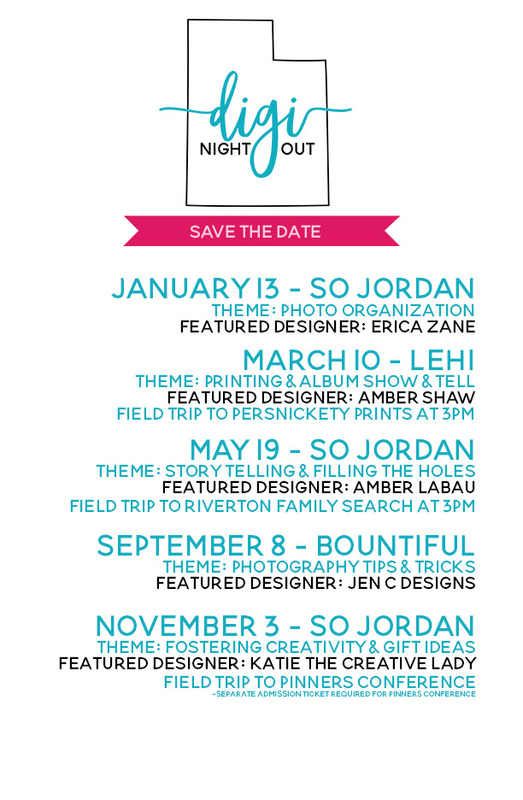 I’m working on finalizing the Featured Designers and Sponsors for our 2018 events, but in the meantime, I want to make sure that you save the date for these fabulous events! 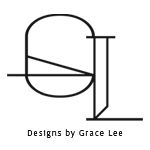 I’ve got some fun things planned. I have several ticketing options for this year. 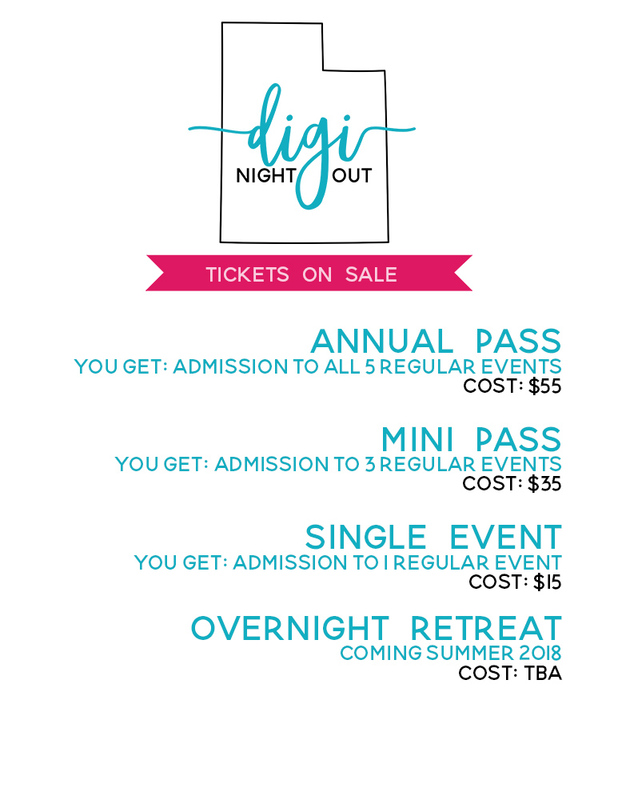 You can purchase an Annual Pass for access to ALL FIVE regular events, a Mini Pass for access to your choice of THREE of the five regular events or you can purchase a Single Event pass for any of the individual events. Passes for all events are available for sale now, and remain open until one hour before the event begins. The Mini Pass will be available to purchase until May 19th. All passes are non-refundable. If you need to cancel, please let me know and we can try to work something out. 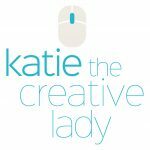 Theme: Photo Organization – How do YOU organize your photos? What works or doesn’t work for you? Come ready to share your successes and struggles. There are no right or wrong answers, let’s explore options. 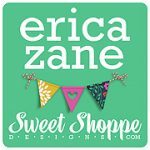 Theme: Printing & Album Show & Tell – Bring some of your albums to share. Let’s talk about printing. Theme: Story Telling & Filling the Holes – Let’s talk about how you’re telling your story. How do you scrapbook (chronologically, sporadically, etc…)? What’s missing and what’s your plan to fill in the holes? What are some techniques, tips & tricks you use for scrapping quickly? 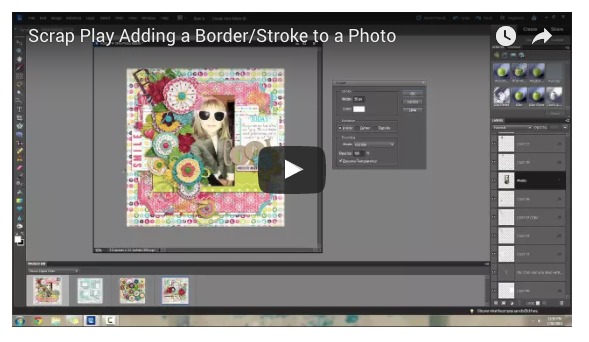 Are you using any apps to make scrapbooking easier or faster? 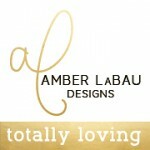 Theme: Photography Tips & Tricks – One of my biggest struggles with scrapbooking is poor quality and poorly lit photos. Let’s talk about different struggles we have with photography and share some tips & tricks for getting better photos. And, how do you fix your struggling photos? Do you use any apps? Theme: Discovering & Fostering Creativity and Gift Ideas – Let’s talk about different aspects of creativity and things we can do to foster our own creativity. Do you ever get in a creative slump? How do you bust out of that slump? Are you using any of your digi stash to make any fun gifts for family & friends this year? To watch this video and see more of Danyale’s tutorials, Check it out on her Blog! 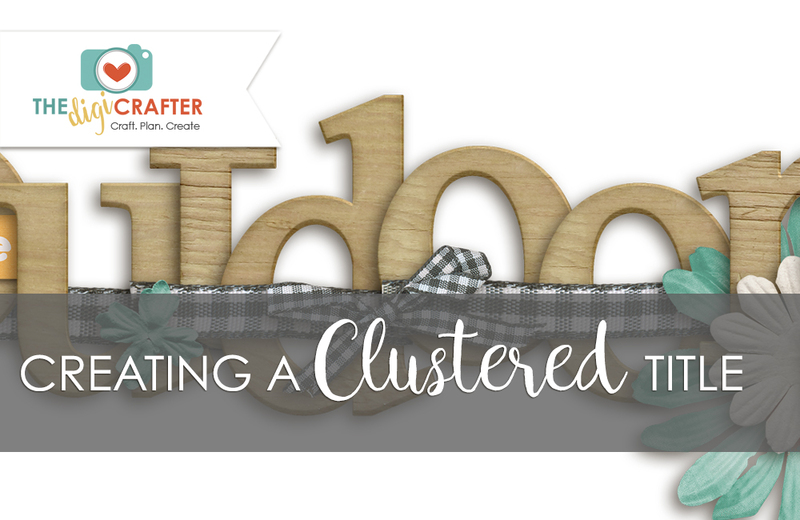 Creating a Title with clustered elements can be a great way to help your title pop. 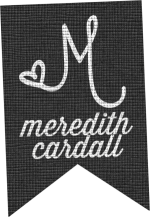 Check out more on The DigiCrafter’s blog on how to do this!